Anyone can get intimidated looking at the number of makeup brushes available in the market today (we dint even use these many painting brushes back in our school days!) After using them all & researching on which are the brushes that I cannot survive without (from a beginners point of view too), this is a list of the must-have’s. This is the best brush to apply powder eye shadow! 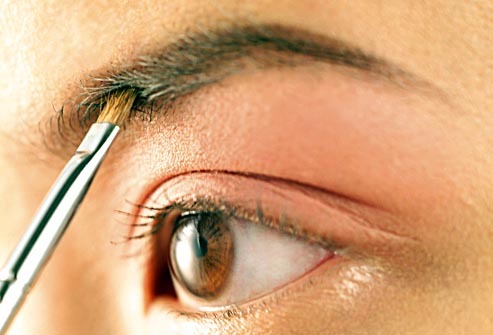 You can very easily pack on a lot of product on this flat brush & dab off any excess & pat the product on the eye lid. 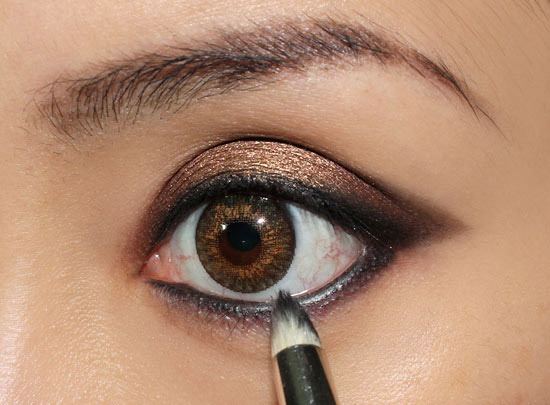 A total must-have for achieving a smokey eye! Product can be taken just at the tip of the brush & blended just below the waterline to create a hazy/faded/smudged kinda effect. The same brush can also be used to define the crease line. If you are applying eye shadow, you totally need this brush. 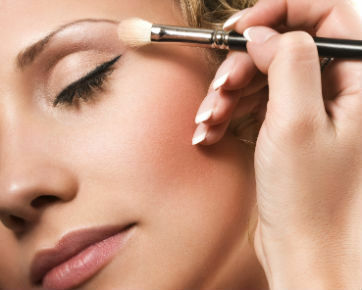 Once you have applied the eye shadow with the help of a flat eye shadow brush, the line that is formed automatically will have to be softened. 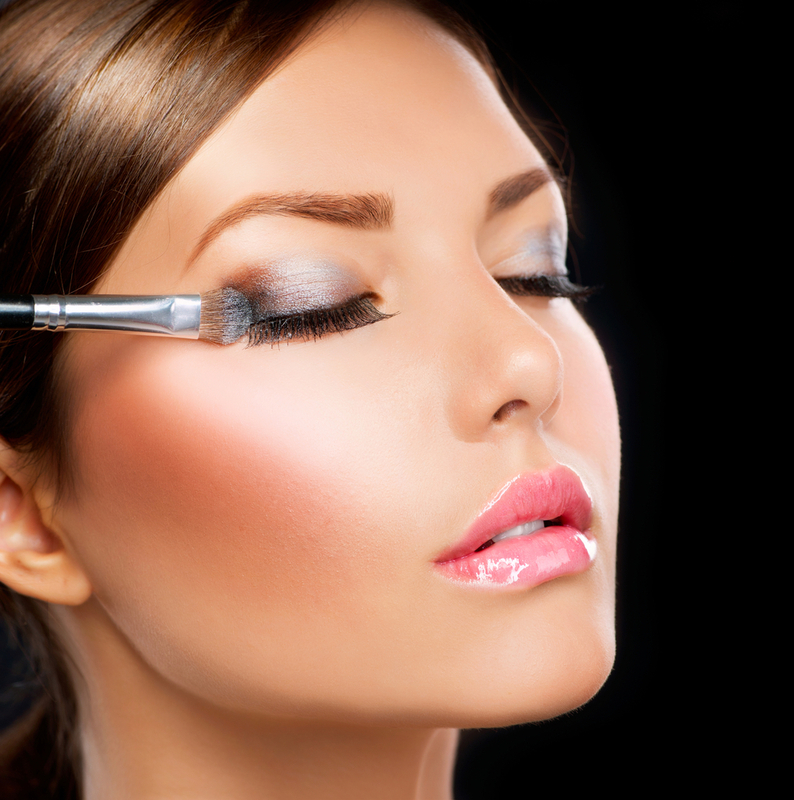 The eye shadow should look like it is fading out with no prominent lines visible. 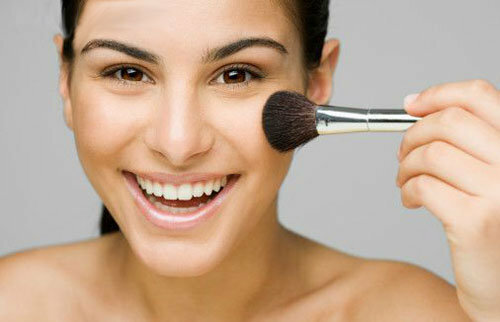 All you have to do is use the brush where ever you feel there are lines & move it in circular motion or from side-to-side! Who doesn’t like having rosy cheeks? So if you’d need to apply blush, you’d have to own a fluffy blush brush. Smile in the mirror & apply the blush on the apples of the cheek upwards. (Isn’t this the first thing we started doing as small girls after looking at Mommy in the mirror?) You could also use this brush to apply loose powder all over the face after using your liquid foundation! 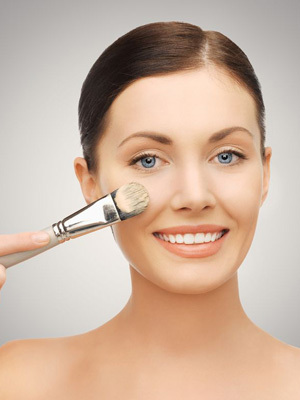 Any applicator that you are comfortable with applying foundation is fine. Just don’t use your hands! God knows what all we do with them!!! You obviously do not want any bacteria or germs transferred to your face. Also if you use your fingers/hands, you tend to waste a lot of product (you dint realize this, did you?). For more coverage, go for a flat brush. In case if you want a very natural, almost invisible kind of an effect, get a stippling brush & work it in circular motions all over the face. See how beautifully it blends into the skin. If using a brush isn’t your thing, use a sponge. Always blend the foundation with the sponge in downward strokes, so as not to raise the facial hair. Oh! And don’t forget to apply some foundation on your neck too! This is the most under-rated makeup brush of all time! Girls generally prefer using the lipstick directly on the lips. It’s fine. I’m not saying that you are doing something wrong. It’s your own product, you can apply it directly. But, if you do not have a sturdy hand, your lipstick could be all over the place. A lip brush gives you a huge amount of precision & you can actually map out the original shape of your lips beautifully! Try it and see the world of a difference it makes! Thank you for the detailed post. If you could also please suggest a brand(s) where we can look for these brushes. Hi Divya. The brushes available in India are very limited. Vega brushes are good for beginners. MAC brushes are great but create a hole in your pocket! There are tons of options in the US. If someone is coming from the States, I would suggest that you ask them to bring it for you. Have a look at Sigma-http://www.sigmabeauty.com/ (I am in love with them), they are very reasonably priced & are very similar to the MAC ones. Then there’s Ecotools – http://www.ecotools.com/ I’ve heard great reviews about these. Finally, there is Sonia Kashuk – http://soniakashuk.com/sk-MTA_All.php?gp=10 Again lovely, reasonably priced tools. Hope this helps. Most welcome Divya! Do let me know if you’d like me to write on any particular topic! i have been reading ur blog for quite sometime now! I must tell u u do amazing posts.. just perfect one!! keep up the gr8 work!! Hey! The color would be ‘Bronze’ or ‘Mulch’ by MAC. Hope this helps.